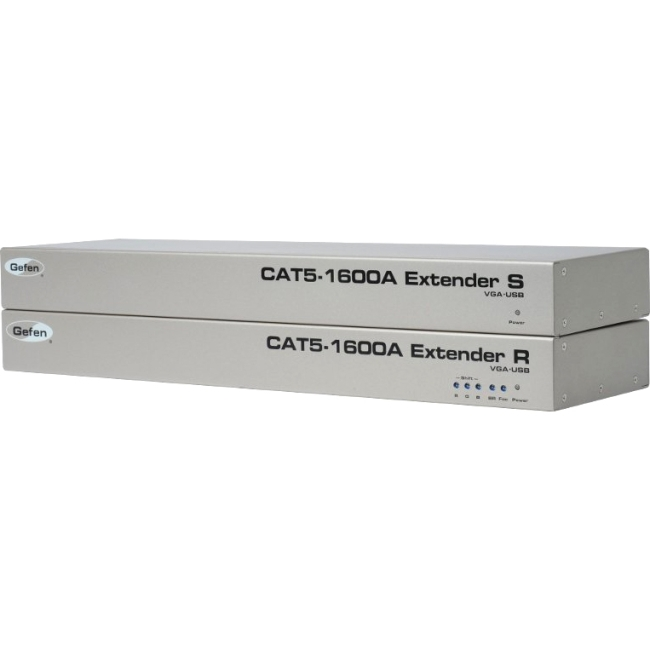 The Gefen CAT5-1600A extends VGA, Audio, and USB up to 330 feet (100 meters) using CAT-5 cables. Display resolutions up to 1920x1200@60Hz are supported. A local monitor can be connected to the Sender Unit and up to two monitors can be connected to the Receiver Unit. Four USB connectors on the Receiver Unit allow control of the computer system from a KVM workstation. Mini-stereo connectors extend analog audio.